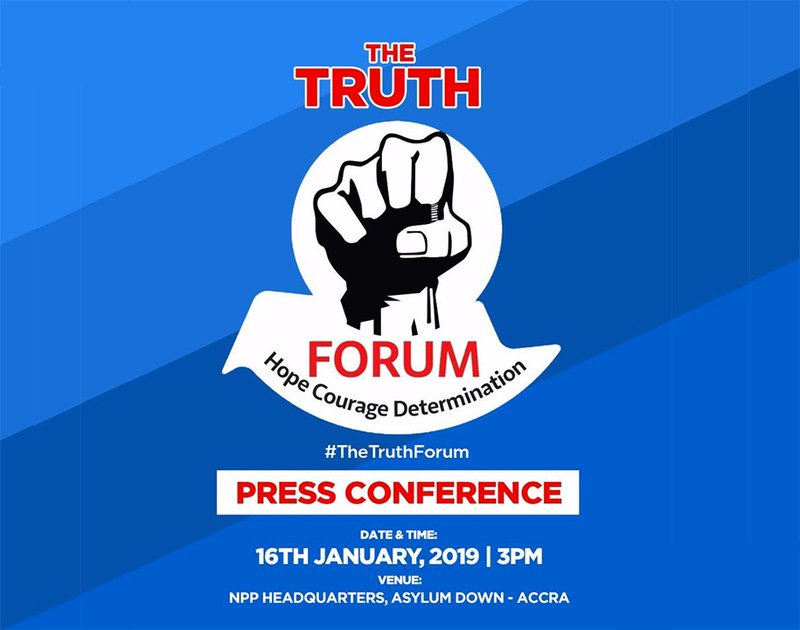 PRESS CONFERENCE BY THE TRUTH FORUM OF THE NPP ADDRESSED BY YAW BUABEN ASAMOA – NPP USA Inc.
Members of the media, thank you for responding to our invitation at such a short notice. As you are aware, we are compelled to invite you here today to respond to the symptoms and after effect of a massive election loss the NDC endured in 2016. Clearly they have not recovered from that electoral blow. Because since then, all their actions are focused on attempting to incompetently duplicate our campaign. We have heard, for example the attempt to describe this performing government as a super incompetent government and when asked, all the NDC can say is that, because we called them incompetent. This negative, unproductive and reckless mind-set is what is driving the largest opposition party in the country. To the extent that this afternoon, the entire leadership of the NDC mobilised behind expensive exposure on television and radio to tell a heap of political lies about the sad difficulties some citizens are experiencing with Menzgold. Instead of commiserating with customers who have lost their monies through investments and schemes run by Menzgold, the NDC is desperately trying to equate that to DKM and insist on the unheard position that government should assume liabilities for private investments. The NDC raises two matters. That, NAM1 benefitted from celebrity endorsement. Ladies and Gentlemen, since when have members of the public and stakeholders, local and international, been barred from engaging democratically elected presidents and their governments? Is the NDC telling us that, the picture of then President Mahama and globally acclaimed gay rights activist, Andrew Solomon, in bed, meant that John Mahama is gay and that John Mahama endorses homosexuality? Needless to say, NAM 1 as a matter of public record has visited several eminent persons in this country. As a responsible political party, supporting a very focused government, we will not stoop so low to suggest that public officers, religious leaders, traditional leaders, and others who by virtue of their office are public property deserve to be abused for dirty political ends. The second leg of the NDC’s empty propaganda statement is that, some force ought to be applied, which was not. In making that argument, the NDC’s Communications Officer, and endorsed by the entire leadership of the NDC, confused State, government, regulatory agencies, security agencies and the presidency. The NPP government is committed to a state of law and in that state of law, there are clear distinctions between the powers of the State, the powers of the government and the powers of the president. For public clarity, it is on record that, in 2012, a docket was built by the Ghana Police Service alleging that, 53 people have been defrauded by NAM1. Then it was a security agency matter, the Police and the retired police officer can be interrogated on this. So clearly, the said alleged fraudulent operations of NAM1 and his accomplices started way back in 2013 under the name MENZBANK ending with K which later MENZBANC ending with C. For the information of the NDC and its clueless leadership, they were in Power as the government in the State of Ghana. How come, they refused to exercise government power under the authority of the state to deal with the NAM1 issue once and for all. Or is it because the NDC stood to benefit as clearly stated by Sammy Gyamfi in a video widely circulated on social media. Indeed, keen observers, have noted that Ponzi schemes turn to proliferate whenever the NDC is in power. R5, Pyram,DKM, Bamask, as well as US Tilapia. On October 28, 2014, the Bank of Ghana, acting as a regulator, discovered, in a special exercise within the Central Region, that Menzbank was operating in Kasoa under the guise of gold trading and illegally using the name “Bank”. On March 11, 2015 BOG issued notice number BG/GOV/SEC/2015/04 publishing a list of unlicensed entities operating illegality, including Menzbank. Menzbank then changed its name to “Menzbanc Ghana Company Limited”. On April 13, 2016 BOG issued a notice to warn the general public against the deposit-taking operations of Menzbanc. On July 22, 2016, BOG wrote to Menzbanc cautioning it against its unlicensed deposit-taking activity. On August 2, 2016 BOG invited the management of Menzbanc to a meeting on its unlicensed deposit-taking activity. The company responded in writing on August 3, 2016 and claimed that they were not engaging in deposit-taking activities. On August 16, 2016, the BOG contacted Minerals Commission and Precious Minerals Marketing Company (PMMC) on the license status of Menzbanc. Minerals Commission confirmed the company had a license only to ‘purchase gold locally… and to export same”. However its licence with PMMC had expired. For the education of the NDC, these constituted regulatory activities not that of the President at the time, unfortunately, there was no bite. On February 13, 2017, BOG held another meeting on with representatives of the company. On July 19, 2017, BOG issued another caution letter to the company to desist from taking further deposits. Menzbanc then changed its name to Menzgold. It also informed the BOG of its subsidiary by name “Brew Marketing Limited” where clients were directed to go and purchase the gold and deposit it with Menzgold for “dividend”. BOG conducted further investigations and did three “mystery shopping” transactions by enrolling on the company`s “Gold Vault market.” In the first purchase, no gold was seen throughout the transaction. Menzgold collected the cash with the explanation that they would purchase the gold from Brew Consult. In the second case, on maturity, the mystery shoppers were given a piece of gold. In the third purchase the mystery shoppers were directed to purchase the gold from Brew Marketing Consult, and deposit the gold in its vault where the trading began. On 19th September 2017 Minerals Commission wrote a letter to Menzgold titled “Unauthorised Business Activities,” pointing out to Menzgold that it was in breach of the law and the Licence and that Brew Marketing had not been registered as a licensed buying agent. In June 2018, BOG conducted a joint visit with Minerals Commission to licensed gold traders and refineries in Accra to understand the nature of their operations. The team established that all the companies were engaged in smelting and exporting of gold with the exception of Menzgold that is engaged in the solicitation of deposits from the general public with interest rate between 7% -10% per month to customers based on the quantity of gold purchased. The activities of these regulators since 2017 had bite and that is what finally led to full exposure. Because when NAM1 said he was trading in gold collectibles, Securities and Exchange Commission, quickly moved in to demand licenses for derivatives trading. Ladies and Gentlemen of the press, this is the factual story. Please NDC, be kind to the people affected by this and avoid the lying Politics, that will not solve the problem or give any peace to the people involved. The NDC’s conduct today in pollicising such a sensitive issue is disgraceful to say the least. Ladies and Gentlemen, the Menzgold saga is an NDC problem we have come to clear. We have cleared a lot of NDC mess since we came. We have cleared DKM, we have cleared mess at the Banking sector, we have cleared arrears, and we keep clearing a lot of mess they created. Menzgold is an NDC problem. We will deal with it and allow the law to work. No amount of propaganda will deter this NPP government.